Every single one of us can become a workaholic. Because each of us has a "slavish gene." "International herald Tribune reported a few days ago, the U.S. national institute of mental health of neurobiologist Barry Richmond, the leadership team on rhesus monkeys found a gene, called" D2 ", control" D2 "gene can completely change the animal temperament, let it willingly become slaves, and humans have the same gene. As a result, many media reports have reported that "human servility genes have been discovered, but people can make slaves and workaholics." The results of genetic research have been reported for some time. For example, individual IQ is controlled by genes, and genius is the result of genetic error. In addition, scientists have identified a range of genes related to diseases, homo***uality, alcoholism, risk-taking, violent crime and so on. In a word, we are all under the control of genes for the death of our children, the scolding of laughter, the lust for love, and the various interesting and uninteresting things that come with it. At present, the new gene editing techniques, the CRISPR (knockout), can cut a part of the "vicious" virus DNA, to cure cancer, rare and develop better drugs to treat human disease, genetic disease, and treatment of blindness, the eradication of HIV/AIDS; Even in human or embryonic period, the baby is not born with any congenital disease, by knockout. Modern medical research has shown that, with the exception of injuries, almost all diseases are genetically related. The relationship between genes and diseases, because there is no escape, so you can only find ways to understand more thoroughly, so that one day, complete control can be achieved. It is undeniable that the birth of gene screening technology seems to be the product of this era of rapid development of technology, but it is also an inevitable product of history. Most diseases can be found in genes. Through its guidance on protein synthesis, genes determine that we absorb food, remove poisons from our bodies and respond to infection. There are more than four thousand types of genetic diseases that are inherited by either father or mother. The second type of disease is common, such as heart disease, diabetes, multiple cancers, and is the result of the interaction between multiple genes and a variety of environmental factors. Genetic testing can diagnose diseases and can be used to predict disease risk. The disease diagnosis is the gene detection technique to detect the genetic disease mutation gene. There are more than 1,000 genetic diseases that can be diagnosed by genetic testing. 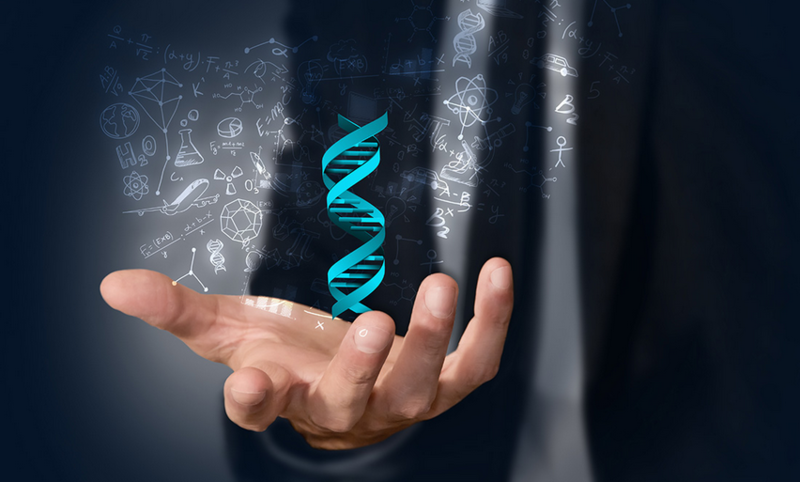 Predictive genetic testing USES genetic testing to detect the risk of disease before the onset of disease, early prevention or effective intervention. There are now more than 20 diseases that can be predicted with genetic testing. The genetic history of the disease family is caused by the genetic inheritance of disease susceptibility genes, so genetic testing can detect these genetic susceptibility genotypes, and in theory, the detection accuracy reaches 99.9999%. There are 31 malignant diseases: lung cancer, gastric cancer, rectal cancer, cervical cancer, etc. 18 types of cardiovascular diseases: hypertension, high cholesterol, coronary heart disease, myocardial infarction, etc. Metabolic and immune system disease 19 kinds: including periodontitis, chronic urticaria, allergic rhinitis, uremia, etc. Respiratory, digestive and urogenital diseases 17: including bronchial asthma, gallstones, chronic kidney disease, etc. 27 types of muscle, bone joint and neurologic diseases: including lumbar disc herniation, Parkinson's disease, etc. There are 12 types of ophthalmologic and dermatologic diseases: leprosy, vitiligo, etc. Psychiatric disorders include alcohol addiction, mania, dyslexia, schizophrenia, depression, etc. In terms of fighting cancer, the overall efficiency of chemotherapy is now 30 to 40 percent, and the efficiency can be increased to 80 percent through genetic testing. Molecular detection has revolutionised the treatment of cancer, and cancer treatment is starting to enter the new world of personalized treatment. Currently, in foreign countries, the U.S. food and drug administration (FDA) has forced the use of genetic tests such as EGFR and KRAS before taking the drug. Another authority, the NCCN, has included genetic testing of EGFR, KRAS, ERCC1, RRM1, and HER2 into cancer treatment guidelines. Recently, genetic testing industry the most eye-catching is consumption white-hot competition in the field of genetic testing, in early August, after just announced a complete round of 40 million B, 23 rubik's cube put a full set of genetic testing (Parentage genetic health) from 999 yuan to 499 yuan prices. Then, genetic testing and analysis platform WeGene a direct-to-consumer genetic testing of products at a draught from 999 yuan to 499 yuan, the reduction of malicious, cause render big Bob in the industry. But the issue of profitability is a big problem for these startups. Foreign countries can form a reference enterprise with 23andMe and so on. Currently 23 andme single product price of $99, for the price, Yin Ye, the president of Shenzhen Genomics Institute had told reporters, "23 andme product of $99 the price must be not make money, for the majority of companies in China, the one thousand yuan’ fee, won't make money." But in fact, 23 andme is not to make money by selling products, but by the data, the choices of the 23 andme is will genetic data to large pharmaceutical companies, and even deeply involved in data analysis and treatment of technical cooperation in research and development. Earlier, Zhou kun did not respond directly to the profit model when asked by the 21st century economic herald. The company began experimenting with service products only when it had more than 300,000 users. After the number of users reached 1 million, the layout was officially started. For consumers, DNA screening results can predict certain diseases, especially those closely related to genetic mutations. If I take a gene diagnosis, remove the "lesion" and pay the price, will I be able to get this severe disease one day? If I do not end up with this serious illness, what is the value of the earlier prevention? The consumer's concern is no more than two, one is how to set up a "double insurance", the other is how to reduce unnecessary sacrifice. Therefore, the cooperation between health insurance companies and genetic testing companies has become a trend. Whether genetic testing the company's big data, can be provided to the health insurance companies in product design and pricing of scientific basis, or its precise service to consumers by binding relation, make in this era of "data is king", health insurance companies and genetic testing of the company's cooperation is more and more closely. As early as three or four years ago, there have been including Ping An life insurance, The Chinese insurance group, PICC, Taiping Life, Funde Sino Life made contact with genetic testing institutions such as insurance institutions, some agencies have reached a cooperation. But at the time this "buy insurance, get genetic testing" seems to be just the insurance industry and the early stages of genetic testing industry cooperation and contains a large amount of body information gene is a insurance for large database, the insurance company to identify risk, for accurate pricing. But the misuse of gene detection technology can also aggravate the adverse selection of insurance companies and customers. Genetic testing is that the benefits of the insurance company for the future risk of have a clear understanding, but if the future has a great chance to need to pay higher premiums, so how to design and pricing of insurance products, manage compensate link how to audit, can let the consumer to pay and can guarantee enterprise profit and word of mouth, will be a problem. Social insurance is compulsory and is exempt from nuclear insurance. Therefore, the right to guarantee is guaranteed regardless of individual risk. However, commercial life insurance and health insurance carry out risk pricing, and insurance companies charge different premiums according to the degree of risk of the insured. Insurance company in order to maintain an actuarial pricing accurately, therefore, hope that there has been a genetic test for potential customers to open their genetic information, in order to decide whether to provide insurance and determine premium, "facts" in the commercial insurance underwriting requirements and genetic privacy conflict. Insurance company can provide customers with free genetic testing, predict the customer in the future the possibility of disease, early know do disease, early treatment, early treatment, increase the customers understanding of their own insurance and the risk of disease prevention, improve yourself the quality of life for them, and provide the professional reference, this also can lower the mortality and morbidity of clients, reduce claims of life insurance and health care costs, and so on. 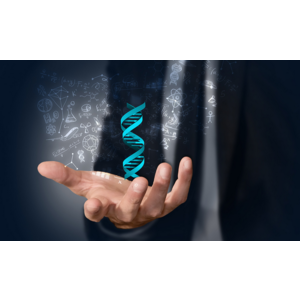 Since health insurance companies cooperation with genetic testing institutions inevitably is a double-edged sword, so how to do, to make to maximize play genetic testing technology benefits of health insurance? Stay tuned on October 25, 26, held in Beijing in the 2017 Asia Pacific health international summit, three themes: the technical environment, change the traditional ecological science and technology innovation mode, reduce the comprehensive cost of the health insurance companies "of the" health insurance enterprise combining case analysis, genetic screening technology"